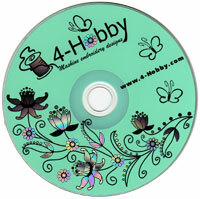 Photos have been emailed to us by Marilyn of Hamilton, Ontario. Marilyn, thank you for the great job! 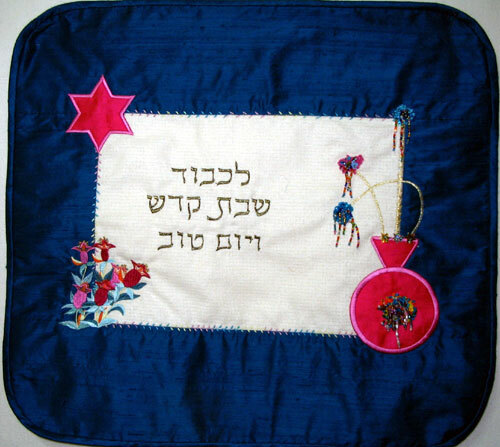 The Challah cover was embroidered using design from Pomegranates set. It has a pomegranate flower (actually two overlapping) and a pomegranate applique (Marilyn's own invention) with hand beading. 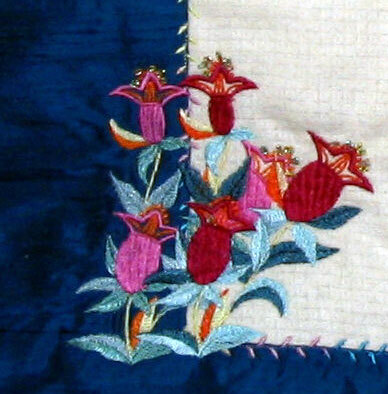 Approximately 613 beads and French knots represent the pomegranate seeds.